Mastered at Sterling Sounds, New York. Boxed Set 2 is a double compact disc compilation by Led Zeppelin, released by Atlantic Records on 21 September 1993. Issued almost three years after the first boxed set, Boxed Set 2 features the remaining Led Zeppelin song catalogue not published with the first boxed set, Led Zeppelin in 1990. The project was first mooted by Atlantic Records who approached Jimmy Page in view of completing the box sets to cover all of Led Zeppelin's recorded output. The compilation and digital remastering took place shortly after the recording of Coverdale/Page's eponymous debut album, using the same studios at Sterling Sound. Boxed Set 2 contains 31 tracks in total from material recorded between October 1968 and November 1978. The previously unissued tribute to Bert Berns entitled 'Baby Come On Home', was also included. 'Baby Come On Home' was one of the first songs Led Zeppelin recorded in October 1968. The album peaked at number 87 on debut on Billboard's 200 Albums chart. 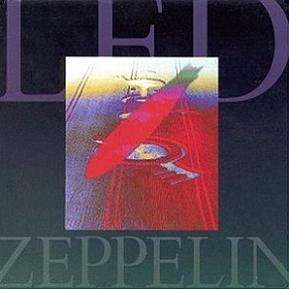 ↑ Billboard.com Led Zeppelin [Box Set 2 - 28 September 1993]. Billboard. Retrieved on 2009-01-19. ↑ Top 100 Albums - 9 October 1993. chartstats.com. Retrieved on 2009-01-19. ↑ Top 100 Albums - 10 October 1993. Oricon. Retrieved on 2009-01-19. ↑ RPM Albums Chart - 4 December 1993. RPM. Retrieved on 2009-01-17. ↑ Scapolo, Dean (2007). “Top 50 Albums - December 1993”, The Complete New Zealand Music Charts, 1st Edition. Wellington: Transpress. ISBN 1-877443-00-8. ↑ RIAA.org Led Zeppelin (Box Set 2) - 1 July 2004. RIAA. Retrieved on 2009-01-19. This page was last modified 06:57, 7 December 2013.